Yes, I love Megaman in my Mario. And No, I will never be able to finish this master-piece. Damnit, I hate retro games! 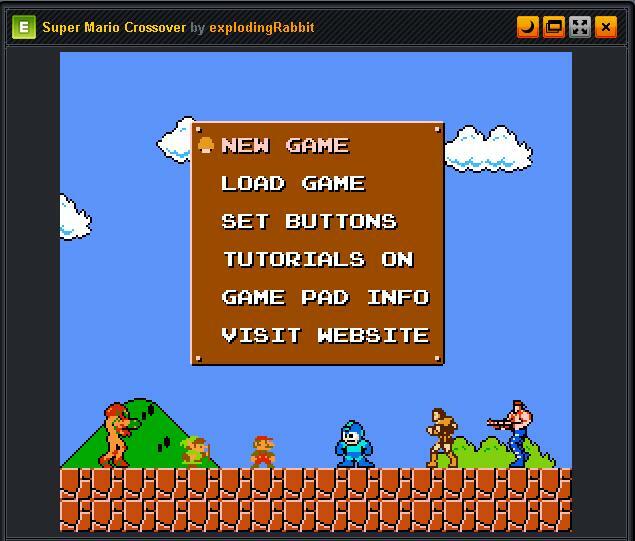 Ahem, anyway, dalam fan-game ini Anda dapat memainkan level-level Super Mario Bros. dengan menggunakan karakter-karakter 8-bit lain, seperti: Samus (Metroid), Belmont (Castlevania), Bill (Contra), Link (Legend of Zelda) dan tentu saja Megaman (Megaman). All credits goes to their respective owners and explodingRabbit for making this stuff!